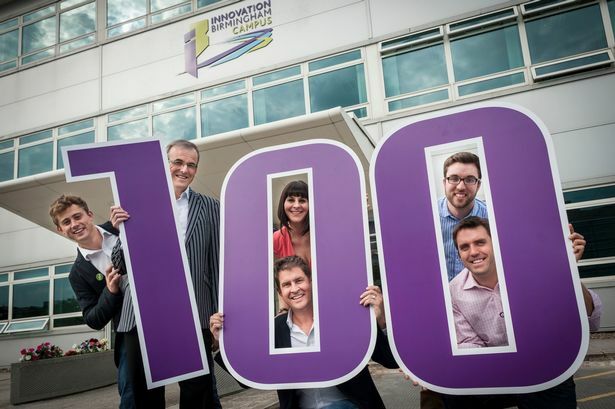 Innovation Birmingham celebrated the 100th tech start-up to enrol onto the Entrepreneurs for the Future programme. Nick Holzherr, Dr David Hardman, Cliff Dennett, Michelle Rayner, Steve Willey, David Roberts. Innovation Birmingham held a milestone event for 150 people to celebrate the 100th tech start-up to enrol onto the Entrepreneurs for the Future programme. Part-funded by the European Regional Development Fund and Innovation Birmingham, the flagship project, which was launched in November 2009, has seen its tech start-ups secure over £4 million in initial funding rounds. As a result, 170 skilled jobs have been created. The focus of the event was presentations from the Entrepreneurs for the Future alumni and current cohort of start-ups going through the six-month incubation process. Nick Holzherr, CEO of Whisk.com, opened the event with a presentation about his experience as the first to join Entrepreneurs for the Future. The other speakers were Cliff Dennett, CEO of Soshi Games, the 23rd tech start-up to join the programme; David Roberts, co-founder of Droplet, the 54th start-up; Ben Nimmo, founder of SocialSignIn, the 60th to join; and Steve Willey, co-founder of Incus Games, the 88th tech start-up.